Are your aware of where your next listings will be coming from? Things that are stuck in the 1990s: newspaper advertising, signboards, DL cards, property appraisals, market reports … and ok, the macarena. However, sticking only to matters of real estate, if you think property appraisals and market reports don’t belong on that list, you would be wrong. Yep. Property appraisals may form a necessary part of the sales process, I’ll grant you that, but, along with market reports, they won’t win you any new listings. 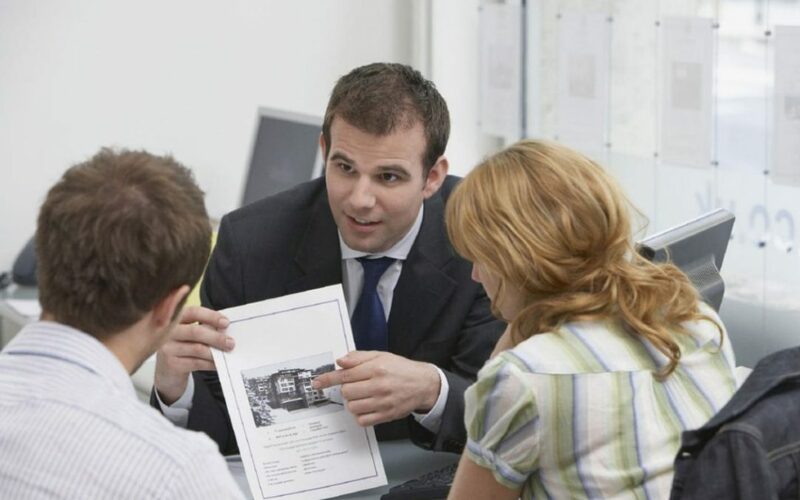 For a start, there are numerous places to obtain a property appraisal or market report from — the hundred other agents in your local area, both the property portals, the Big Four banks, the Australian Bureau of Statistics, every private research company, mortgage broker, stock broker, investment banker, and list goes on ad infinitum until it’s the end of time and all that roams the earth are robots and drones. Plus, if I were so inclined, with just the teeniest bit of research, I could gather enough information to create my own market report that, truth be told, would be more complete than any of the ones I could obtain from a business that’s also trying to sell me their services. That’s not to say that you shouldn’t offer prospective vendors a free property appraisal or a downloadable market report — you should! — it just means that it’s not going to deliver you your next listing. The internet has fundamentally changed the way people find information, communicate with each other, and look for professional services. When people first make contact with a professional, whether it’s a plumber, accountant, digital marketing agency, or a real estate agent, even, it’s typically after a significant amount of independent research on their industry and past experience. The phone call and the ensuing meeting, by this point, are really just formalities to see how well client and customer will get along — or in the case of an agent and vendor, to see whether the agent’s plan matches the owner’s. But to get the call in the first place, you need to establish a point of difference between yourself and every other agent in your area, hankering after a new listing. To do that, you need to first accept that your next listing is coming from the internet — not a newspaper ad or DL card. The internet. This means you need to find ways to establish your online presence, through digital and content marketing. The most important thing to remember as you begin to build your online profile, is that most people use the internet to find information, communicate with others, make a purchase and, increasingly, for entertainment purposes. If you can create content that will cater to one or a few of these reason people use the internet, the more successful it would be. When Derek Farmer, a real estate agent with McGrath Neutral Bay on Sydney’s lower north shore, created his personal agent website, its main purpose was educate buyers and sellers about the property market in Sydney, but especially around the lower north shore. Derek created a series of professional shot and edited videos, in which he shared his tips and advice for buying and selling property, and uploaded them to his website, where anyone could access them for free by subscribing to his mailing list. 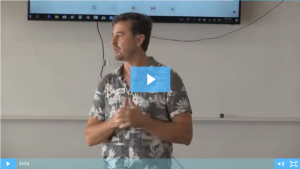 Derek also started a blog, where he published blogs that covered all sorts of property market, from the common sales methods used to sell property to the current lower north shore property market trends. He also used his website to showcase his current listings and recent sales successes. Underpinning Derek’s entire content strategy was a desire to provide honest and transparent information about the property market, so that buyers and sellers would come to see him as the trustworthy agent he is. After observing the success of Derek’s website, fellow McGrath agent, Bill Tsounias, who works at the Brighton Le Sands office also decided to create his own personal agent website. The strategy underpinning Bill’s website is to also create honest and transparent content as a way to stand out from his competition. While both Bill Tsounias and Derek Farmer offer their vendors a free property appraisal, they both recognise that homeowners who are thinking of selling their homes and are actively researching the market are not going to appoint an agent based on that alone: They’re looking for agents who are honest, transparent about the process and, above all, humble. If you’re looking for build a successful online presence that will position you as an authority on the property market in your local area, and will also help you to gain new listings, get in touch with our team to discuss the ways you can begin building your online brand. Alternatively, to learn more about digital technologies that help real estate agents build an online presence, subscribe to our blog.